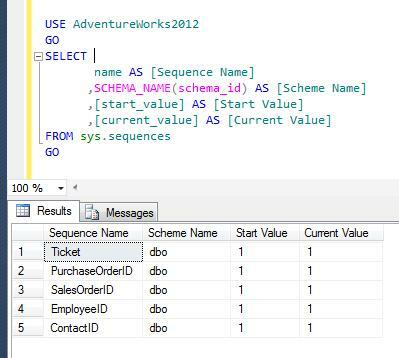 Sequence object is one of the new objects shipped with SQL Server 2012. I wrote multiple articles on its features / solutions in earlier articles. One of the major facts that Sequence object is not a table dependent like IDENTITY columns enables you to inset its value manually in any table. 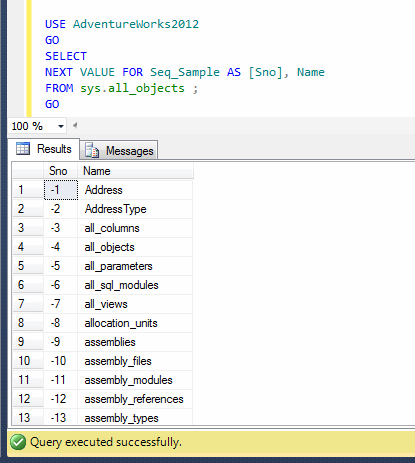 I have been asked in a forum whether we can make Sequence as a default value for a column in a table ? The answer is YES & NO. YES because we have a work around to make it happen and NO because it is not implemented by default, like identity in a table. So what is the work around to make SEQUENCE as a default for a column ? 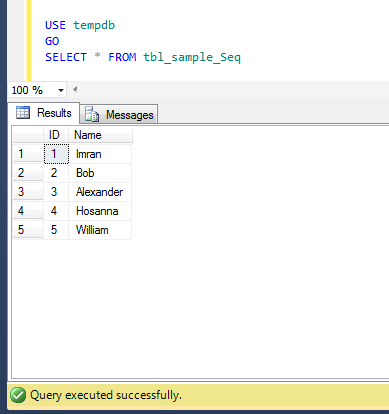 In this step, we need to create a sample table and a sequence object to demonstrate it. 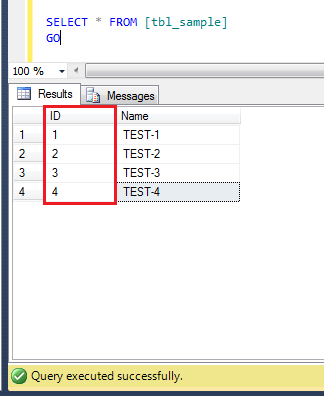 In this step, we need to create a default constraint on the above created table on [ID] column to make SEQUENCE as DEFAULT value for [ID] column. Lets insert few records into the table. Once the data has been inserted, you can browse the table and view the [ID] column data to check whether SEQUENCE became the DEFAULT value of this column or not. 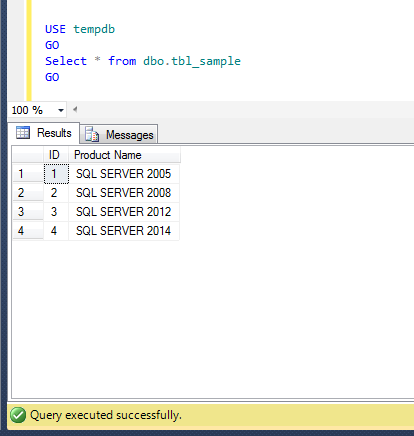 A couple of month ago, I migrated one of my client’s data from SQL Server earlier versions to SQL Server 2012. The most important part was, I changed all the identity columns of the tables from identity to sequence in the entire database, here is the solution. But another important aspect that I did not discuss is that, whenever you migrate or create a new sequence column make sure that it is not be changeable like identity columns. 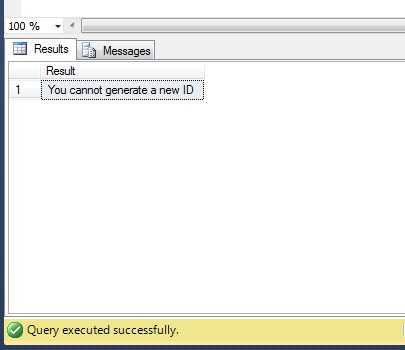 In the identity column it is implemented by default but in sequence column, you must implement it. But how ? First of all let me update an identity column of a table to show how identity columns are prevented from being changed (by default). Given below is the script. Cannot update identity column ‘DepartmentID’. 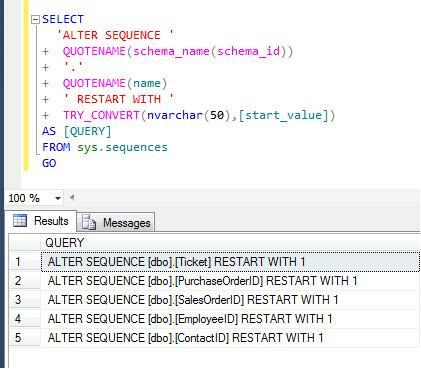 By default, sequence columns are not prevented from being changed, you need to manually control this aspect. Let me show you the solution step by step. Let me create a table to demonstrate the solution. 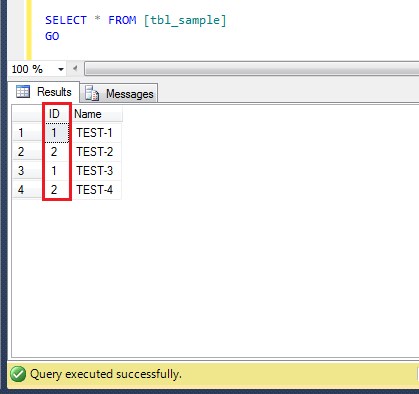 Once you created the table, create a sequence object to insert [ID]s in the table. 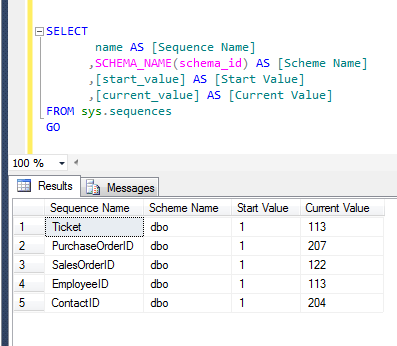 Once you created the sequence object, insert few records using sequence object in the table. Given below is the script. Let me browse the table and show the records that have been inserted successfully. Lets update the sequence column. Do not DO this step in your production database. This step is just to demonstrate the issue. Ooops….in the above step the [ID] column of the table got modified. Let me create an update trigger on the [ID] column of the table, so that we can prevent sequence values from being changed. 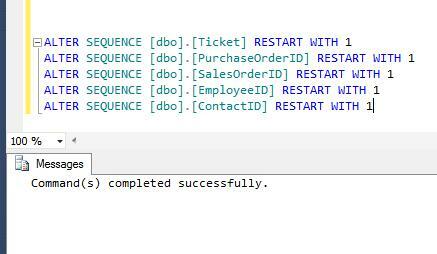 This is the most important step while implementing sequence object in a table. Do not skip it. Once the update trigger has been created, lets update the sequence column ([ID]) again. Whenever you implement sequence object in any table, make sure you create the trigger to prevent sequence values from being changed. Let me know if you came across this issue and its solutions.